#SerialBrain2 Nothing to See Here. What does Q mean? Someone sent me a message asking me to give my explanation of what Q means when he says “Nothing to See Here”. I told him it’s about censorship and in this post, I will give you the details. Censorship is a serious issue. It’s also a sad one. But would you believe I can talk about it and make you laugh for a second? As you can see, here are people who hate Q and hate my publications but cannot refrain from regularly coming to visit my personal page (sometimes multiple times per day), file reports and be very active throughout the comment section even though my posts only show on my personal page! Q2164 These people are STUPID. As you can see, Q placed this “Nothing to See Here” in Q1984 because he is hinting at the famous George Orwell dystopian novel 1984. 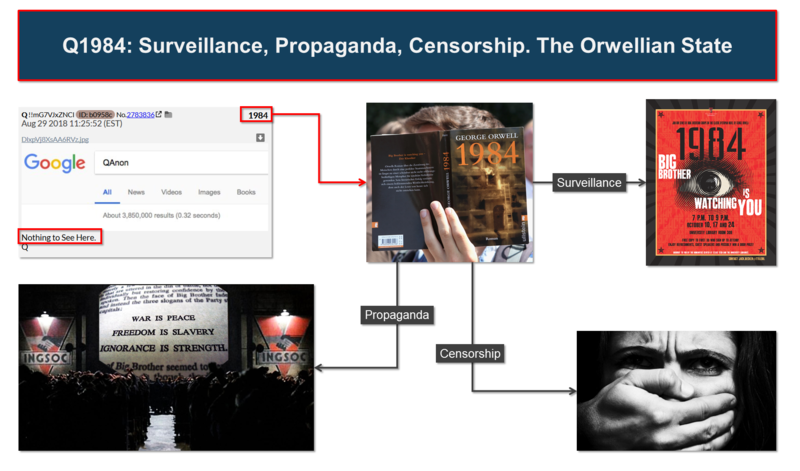 The google search on Qanon image with its manipulated results is referring to the censorship described in the book, Big Brother watching you using major tech companies and finally, all the related oppression of the Orwellian State. 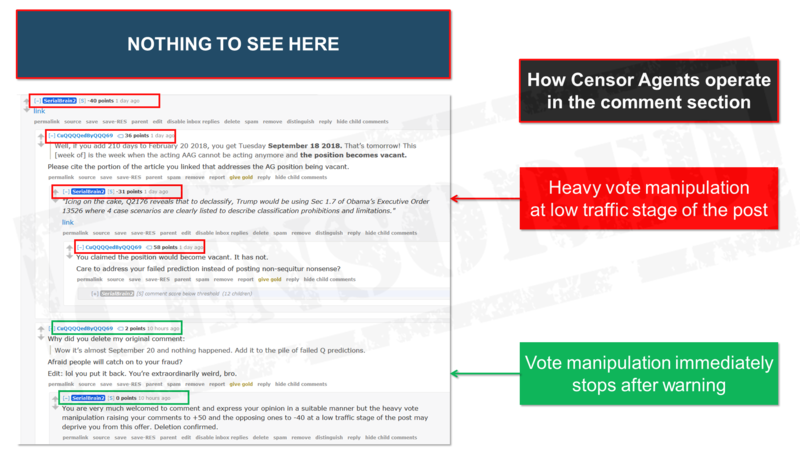 QAnon is all about transparency, disclosing the truth and encouraging people to use critical thinking to reach their own personal conclusions while Google is about running algorithms to suppress information and unify opinions through propaganda and police state strategies. So? Do you now see the symbolism here? This QAnon in the Google’s search box is their attempt to imprison our minds, destroy our capabilities to think critically and make us accept their bogus narratives about everything. You now know what they are trying to 187 and why Q started using “Nothing to See Here” in Q1807: they are trying to 187 our minds and our right to have our own opinions. Now why do you think Q capitalized N, S and H and did not capitalize T? This is because NSH=41=BLIND and T=100=SEE in jewish gematria. So? 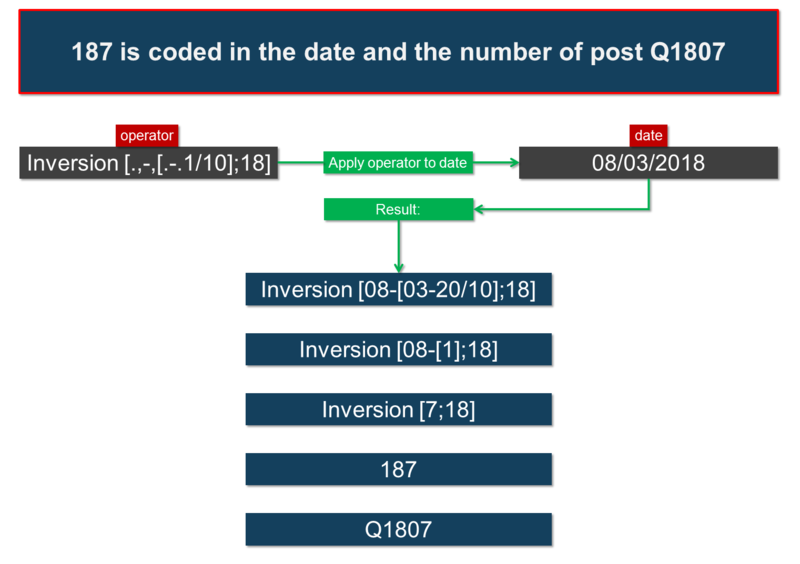 If you have I’s, you will see the HINTS above, below, on the left, on the right and your QANON=61 experience will be complete! Peruvian Coffee for all those who have found delectation in what I have just explained! Next Next post: Alien #Disclosure happening , on #8chan #Qanon #Wikileaks #Aliens,zero point energy….